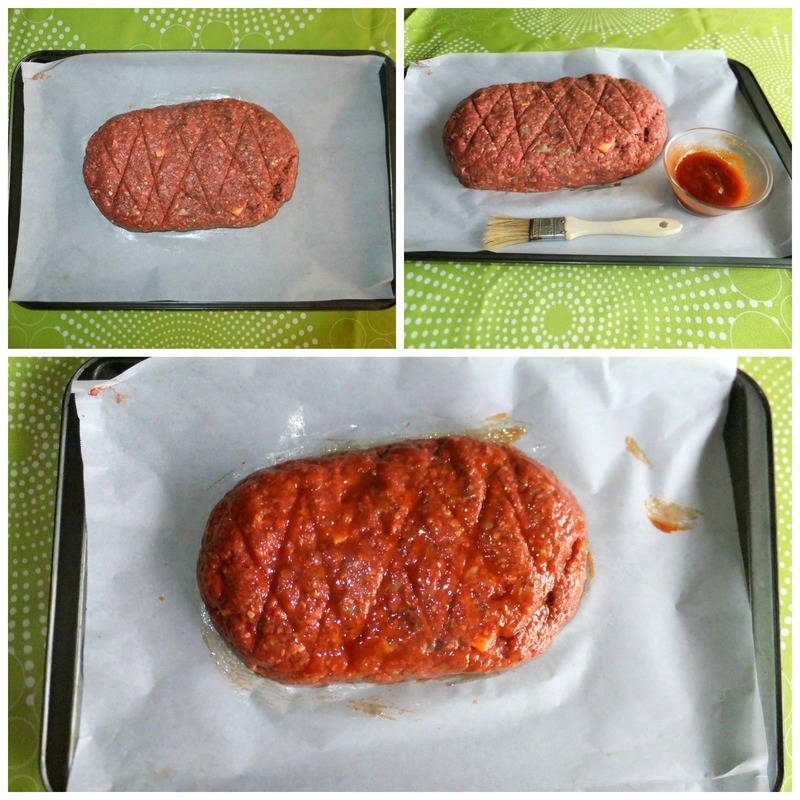 I had a bunch of hamburger that I have been wanting to use up… while I was thinking of what to do with it, I thought MEATLOAF! I have not had meatloaf in ages. 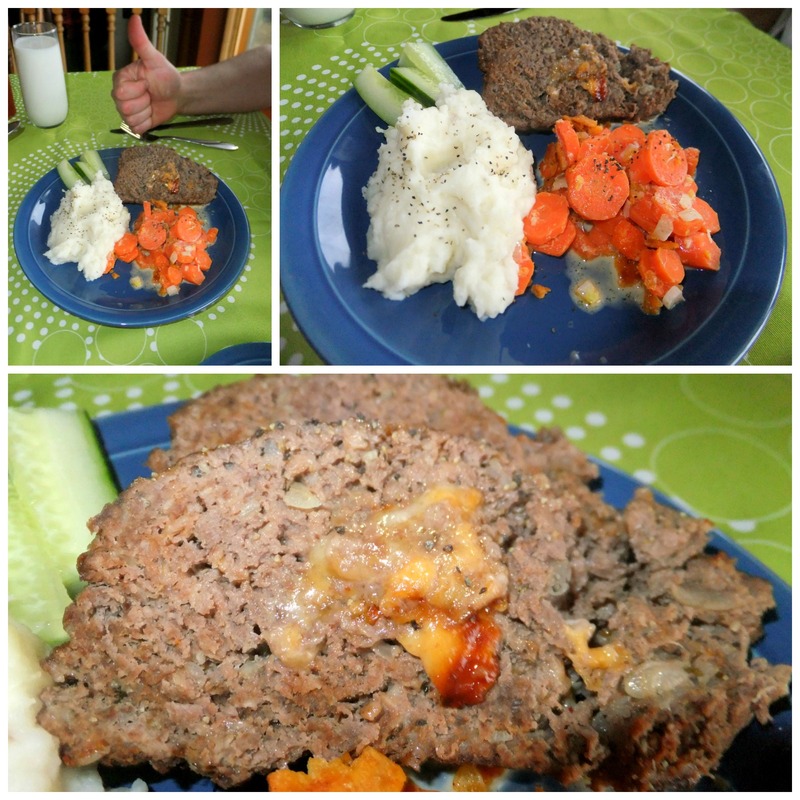 I find meatloaf can either be incredibly delicious, or not so delicious, so I was a little worried about how to make mine. I searched a lot of different meatloaf recipes online, & jotted down notes on things I thought I would like to add… & the things that I did not want to add. With my notes I came up with my own version, & I must say it was a hit!! Preheat Oven to 375F. In a saucepan, saute’ your garlic & chopped onions in a dash of olive oil until soft & fragrant. Take off heat & let cool. While it is cooling, lightly whisk your egg in a separate bowl. 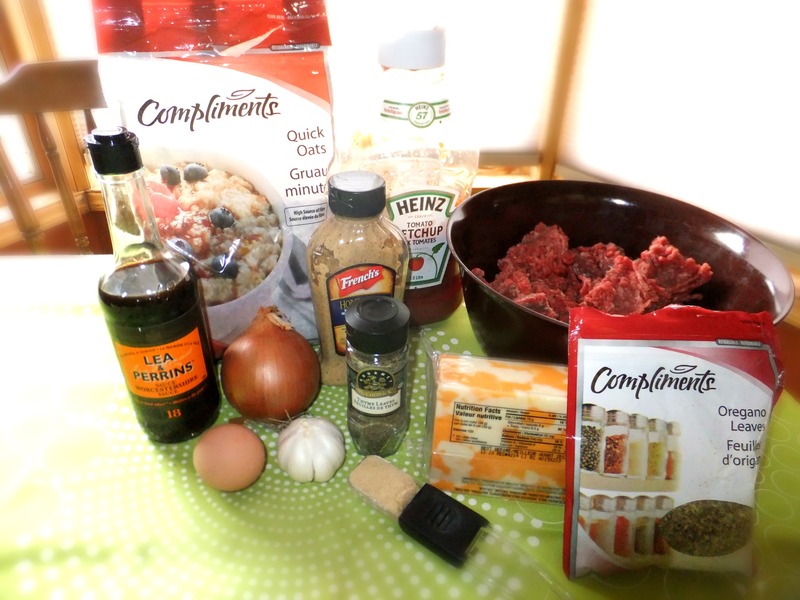 Then pour it over the hamburger, toss in the oats, ketchup, mustard, Worcestershire, oregano, & thyme. Mix in well with your hands… Get Messy!! Then add in the onions & garlic. 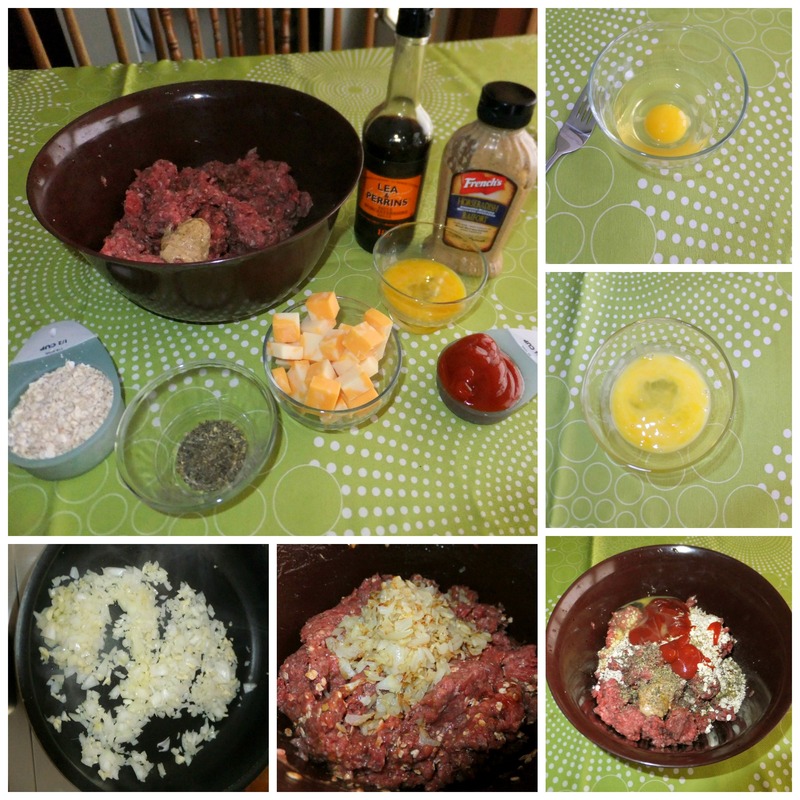 Once it is all mixed in, add the cheese cubes & mix together again lightly. I tried to keep all the cheese in the middle of my hamburger ball. Once it is all mixed in, take a cookie sheet & line it with parchment or tinfoil (think I’ll use tin foil next time). I sprayed a very light coat of Pam on the parchment paper. Then put your hamburger on the cookie sheet & form into a nice loaf. You could also make a couple smaller loaves if you wished. Once they are made, mix together in a small bowl the ketchup, mustard & brown sugar. Paint the sauce all over the top of the loaf! Then lightly cover the loaf with another sheet of tinfoil & place in the middle of your oven. Cook for 30 minutes covered, then 20-30 minutes uncovered. You want the center of your meatloaf to read 160F if you have a meat thermometer. If not just use your judgement. Once it is cooked. Let it cool slightly…. then cut & serve! As you can see I still need some work on my food photography… & to be honest T presented his plate a lot better then I did trying, so I used his plate instead of mine for the pictures. But presentation aside, it was sooo delicious & we loved it!! T gave it a big thumbs up!! Its a great meal on those cool, drizzly days.